Most think of Mexico's famous white-sand, blue-water beaches... perhaps its time to rethink what a blue-water experience could be. Take a video excursion and invitation by the Governor of the Free & Sovereign State of San Luis Potosí, México, the Honorable Juan Manuel Carreras. Amazing places you've never heard of like Huasteca Potosina and the Hausteca people who will knock your socks off with their traditional enchiladas and mole... we take you into and around all the best of San Luis Potosi and its natural blue-water adventures - mild to wild with some of Mexico's best food along the way. 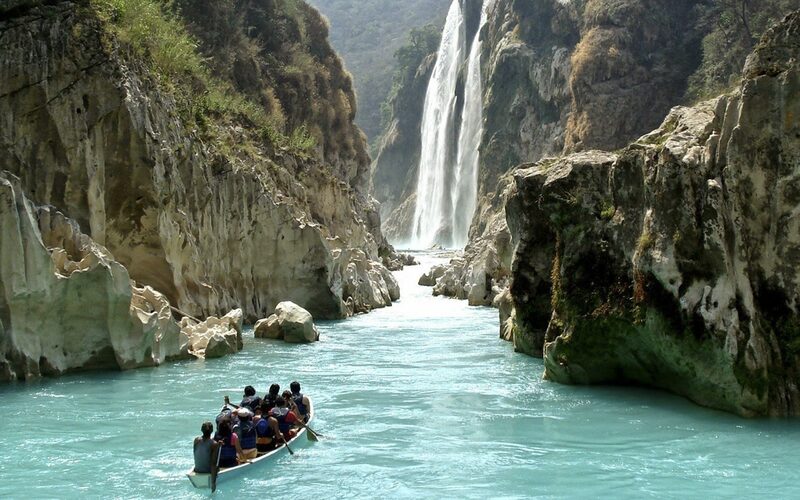 Come with us to the other blue-water of Cascada Tamul, Huasteca Potosina San Luis Potosi. Discover what adventures await, its the same in English and Spanish, simply amazing. Visiting with AdventureNext2016 and the Honorable Governor Juan Manuel Carreras.